The Kocher Criteria can be applied to all pediatric patients with an acutely irritable hip in whom septic arthritis and transient synovitis are in the differential diagnosis. The Kocher Criteria was derived to identify factors important in distinguishing septic arthritis and transient synovitis. Patients falling on either extreme of the criteria can be readily ruled in or out for septic arthritis in the right clinical setting. Patients in the intermediate range may need further work-up or intervention. Criteria did not perform as well in the validation study though may still be clinically useful for those on either extreme of the criteria. Differentiation between septic arthritis and transient synovitis of the hip in children can be difficult given their similar, non-traumatic presentations. The Kocher criteria can quickly identify particular subsets of patients who need urgent orthopedic consultation or can be readily observed. Obtain a thorough history and physical exam on all pediatric patients presenting with an acutely irritable hip, paying particular concern to presence or history of fever and inability to bear weight. Draw a CBC, ESR and CRP in all patients with a clinical concern for septic arthritis or transient synovitis. If there is a high clinical suspicion do not delay orthopedic consultation. Consider observation and/or discharge with close follow-up in well-appearing patients with a low clinical suspicion for septic arthritis and no predictors present. Patients meeting none or all of the Kocher criteria can potentially be discharged (0 predictors) or require urgent orthopedics consultation for washout (4 predictors). Those with some predictors may require hip arthrocentesis. Series of Yes/No questions, each “Yes” increases the risk likelihood of septic arthritis. Retrospective chart review of 282 patients who were evaluated between 1979 and 1996 for an acutely irritable hip for which the differential diagnosis included transient synovitis and septic arthritis. Septic arthritis diagnosed with positive joint fluid culture or > 50,000 WBCs/mm3 in joint fluid. 82 patients were diagnosed with septic arthritis while 86 were diagnosed with transient synovitis (<50,000 WBCs/mm3 with negative joint fluid culture and resolution of symptoms without antimicrobial therapy). Found four independent multivariate predictors for differentiation between septic arthritis and transient synovitis: history of fever, non-weight-bearing, ESR > 40 mm/hour, serum WBC > 12,000. Probability for septic arthritis based on number of predictors. Zero predictors: < 0.2% risk, 1 predictor: 3.0%, 2 predictors: 40%, 3 predictors: 93.1%, 4 predictors: 99.6%. Criteria was prospectively applied to patients presenting to a major tertiary-care children’s hospital between 1997 and 2002 with an acutely irritable hip. Included 213 consecutive patients, 51 were diagnosed with septic arthritis and 103 were diagnosed with transient synovitis. Probability for septic arthritis based on number of predictors. Zero predictors: 2.0% risk, 1 predictor: 9.5%, 2 predictors: 35.0%, 3 predictors: 72.8%, 4 predictors: 93.0%. Outside group retrospectively applied the Kocher criteria to their population and found that having all four predictors yielded a probability for septic arthritis of just 59%. Did not publish its rate of septic arthritis when no predictors were present. Another group did the same retrospective application of the Kocher criteria and found a predicted probability of 59.9% when all predictors were present. Study only had five patients with septic arthritis. Did not have a single case of septic arthritis in a patient with no predictors present. Kocher MS, Zurakowski D, Kasser JR. Differentiating between septic arthritis and transient synovitis of the hip in children: an evidence-based clinical prediction algorithm. J Bone Joint Surg Am. 1999 Dec;81(12):1662-70. Kocher MS, et al. Validation of a clinical prediction rule for the differentiation between septic arthritis and transient synovitis of the hip in children. JBJS. 2004; 86(8): 1629-35. Luhmann SJ, et al. Differentiation between septic arthritis and transient synovitis of the hip in children with clinical prediction algorithms. JBJS. 2004; 86(5): 956-62. Sultan J and Hughes PJ. Septic arthritis or transient synovitis of the hip in children: The value of clinical prediction algorithms. JBJS Britain. 2010; 92(9): 1289-93. Why did you develop the Kocher Criteria? Was there a clinical experience that inspired you to create this tool for clinicians? The prediction rule was actually my thesis project for my MPH in Clinical Epidemiology from the Harvard School of Public Health. It was inspired from my clinical experience as a resident and fellow trying to differentiate between septic arthritis and transient synovitis of the hip in children in the emergency department. This could often be a vexing diagnosis as the patients often presented similarly with atraumatic hip pain, limp, and fever. However, the differentiation is essential since septic arthritis is a surgical emergency with the potential for a poor outcome such as septic necrosis of the hip, whereas transient synovitis is treated with observation and has a generally benign outcome. The goal of the prediction rule was to make the diagnosis in a more accurate, reliable, and timely manner. What pearls, pitfalls and/or tips do you have for users of the Kocher Criteria? Are there cases when it has been applied, interpreted, or used inappropriately? The prediction rule was developed for the hip in children. It has been used for other joints such as the knee, however it was not developed for the knee and may not be valid. Also it was not developed in infants or adults, so it may not apply to these populations. What recommendations do you have for health care providers once they have applied the Kocher Criteria? Are there any adjustments or updates you would make to the score given recent changes in medicine, like CRP, ultrasound, or imaging? Prediction rules are not meant to replace clinical judgment. Rather, they are designed as a tool in aiding diagnosis. So I would still rely on your clinical judgement. If it’s a case of septic arthritis of the hip where missing the diagnosis of septic arthritis can have devestating consequences, I would recommend on erring on the side of caution. If in doubt, aspirate the hip to make the definitive diagnosis! In our emergency department setting at Boston Children's Hospital, we routinely use ultrasound. If there is an effusion and there is a risk of septic arthritis, we usually aspirate under ultrasound guidance, although this may require sedation. Your criteria currently weighs all predictors equally. As more data has come in, do you think some criteria should be weighed more heavily than others? Our original prediction rule utilized ESR as CRP was not available at that time. Other studies, and our experience as well, has shown that CRP is an important predictor. CRP and ESR covary as they are measuring similar entities. Therefore, CRP (>2.0 mg/dL) could replace ESR in the prediction rule. However, the overall prediction performance is similar with CRP or ESR. Some subsequent prospective studies of the Kocher criteria have found much lower sensitivities than your original studies. Do you have any theories as to why it performed less well in certain populations? A prediction rule is an multivariate model that is idealized to the initial derivation data set. Therefore, it will always show decreased diagnostic performance in new data sets. In our validation study and in many other studies, the prediction rule has shown very good prediction as measured by the area under the ROC curve. A prediction rule may show decreased diagnostic performance in a new patient population for multiple reasons: differences in bacteria, differences in patient populations, differences in laboratory technique, and differences in hospital demographics. Any other comments? Any new research or papers on this topic in the pipeline? A clinical practice guideline for treatment of septic arthritis in children: efficacy in improving process of care and effect on outcome of septic arthritis of the hip. Kocher MS, Mandiga R, Murphy JM, Goldmann D, Harper M, Sundel R, Ecklund K, Kasser JR. J Bone Joint Surg Am. 2003 Jun;85-A(6):994-9. Differentiating between methicillin-resistant and methicillin-sensitive Staphylococcus aureus osteomyelitis in children: an evidence-based clinical prediction algorithm. Ju KL1, Zurakowski D, Kocher MS. J Bone Joint Surg Am. 2011 Sep 21;93(18):1693-701. Mininder S. Kocher, MD, MPH, is a professor of orthopaedic surgery at Harvard Medical School, associate director of the Division of Sports Medicine at Children’s Hospital Boston. 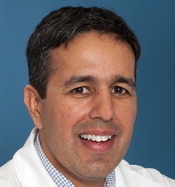 He has co-authored numerous articles and several books, most recently Operative Techniques: Pediatric Orthopaedic Surgery. Dr. Kocher has particular interests in anterior cruciate ligament injuries in skeletally immature patients, osteochondritis dissecans, articular cartilage injuries, tibial spine fractures, and many other topics.